Frequently asked question list. Some of the questions we receive from our customers are answered below. If you have other questions or would like more information about the products we feature or our service and limitations please send us an Online Inquiry Form. Is it safe to purchase item over the Internet? Is it safe to mail a product or massive order of products? Does ShellSilver.com charge sales tax? Can ShellSilver.com ship orders outside the United States? Can I send someone gifts from ShellSilver.com? Can I purchase gift certificates from ShellSilver.com? Yes. Our Online Shopping Cart uses latest technology to protect against loss, misuse, or alteration of your information, and our payments are thru credit cards in 2checkout.com with the highest security website and as far as we conclude that 2checkout.com has a uses state-of-the-art Secure Socket Layer (SSL) data encryption technology. So ordering a product from our Online Shopping Cart is the fun, worry-free experience shopping jewelries online should be. back to top Is it safe to mail a product or massive order of products? Since we ship our products by carriers like FedEx, UPS and other known fast-forwarding company, the incidence of loss is generally no greater than with any other item you might ship. Additionally, all shipments are sent fully insured. back to top What are my payment options? You may pay for your order with a Visa, MasterCard, Discover or e-Check, or American Online as well as by personal check, money order, cashier's check, certified bank check, or wire transfer or even Western Union Money Transfer. back to top Can ShellSilver.com ship orders outside the United States? Yes. We can usually accept credit card payment for an international order if the buyer confirmed his demands and verify the cardholder information. back to top What is your refund policy? ShellSilver.com offers a 30-day Money Back Guarantee on our products.Does not include shipping charges or re-stocking fees, if applicable. back to top How do I return an item I purchase? Simply call our Customer Service Department or send us an Online Inquiry for a Return for Order. Our trained Customer Service Representatives will guide you through the process. back to top How long does it take to get my order? Shell Silver.com makes every effort to get your order to you as soon as possible. In-stock items are generally shipped within 24 to 48 hours. Ask our Customer Service Representatives for shipping details when you place your order. back to top How do I check the status of my order? Yes. To check the status of your order, simply go to our live help and our trained Customer Service Representatives will help you right away or send us an Online Inquiry. Please have your order number ready, or refer to your order confirmation email or further question about your query. back to top How do I track my order after it's been shipped? You will receive an e-mail with your Tracking number simply click on the link and it will tell you the status off your delivery or to call us. Our trained Customer Service Representatives will help you with your questions or send us an Online Inquiry for assistance. What information does ShellSilver.com gather about me? How does ShellSilver.com use the information it gathers about me? Usage Tracking ShellSilver.com database tracks the traffic throughout our site. This information is used to compile overall statistics. The statistics help us decide which products and services best serve our members and new comers. To plan advertising or promotions. We do not share any individual information. 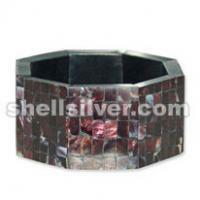 Once in a while, ShellSilver.com may offer you the opportunity to participate in site improvement, customer satisfaction, and other surveys about our products and services. You may be asked to provide certain information to participate. All surveys are optional. back to top Does ShellSilver.com share the information it gathers with others? ShellSilver.com does not provide any third party with any individually identifiable information other than that which is necessary to complete your order. ShellSilver.com gives client information to our shipping carrier. ShellSilver.com has strict guidelines requiring all third parties to keep any shared personal information confidential. ShellSilver .com has strict guidelines requiring all third parties to keep any shared personal information confidential.